Secure Browser is a web browser similar to Google Chrome and Mozilla Firefox. Even though it works as a legitimate web browser, it differs from them to a great extent. Also, it has several disadvantages, which makes it a potentially unwanted application. Therefore, it is highly recommended to delete this software developed by Safe Technologies LLC and then start using a more reliable browser. We will thoroughly explain why it is so in this article, so you should read it. You should do that also if you seek to find out how to delete Secure Browser fully from the system because the information regarding the Secure Browser removal will be provided there too. If you have noticed http://search.mysearch.com/ as your homepage, Secure Browser has altered your computer’s system. You should not waste any time and remove Secure Browser ASAP. How does Secure Browser work? Secure Browser is an undesirable application even though it promises to work as an Internet browser. Even though it performs its main function, it might also perform undesirable activities. For example, users who install this application on their computers start seeing advertisements. These ads appear on websites opened with Secure Browser only; however, it is still quite annoying. They might be really dangerous too because these advertisements might redirect to untrustworthy websites containing unreliable applications. Moreover, many users find it quite annoying that Secure Browser has been set as their default browser, which means that it is opened for them automatically when they click on a link. 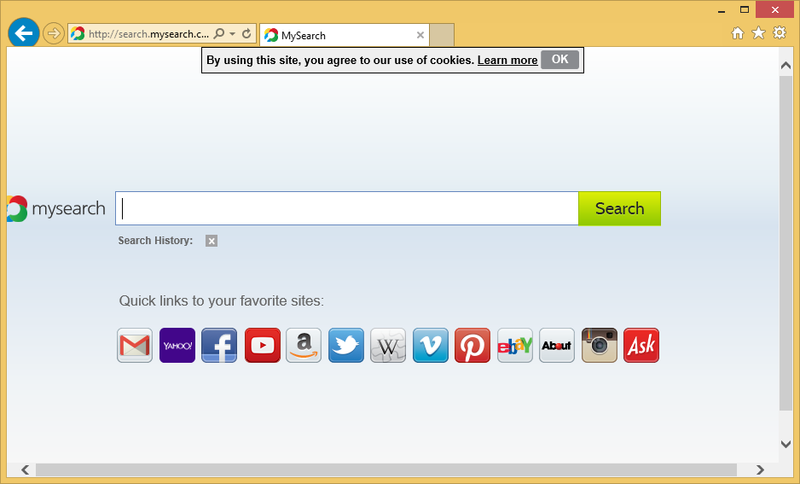 Finally, Secure Browser has a modified homepage, default search engine, and the New Tab page. In other words, users do not see their preferred pages. Even though Secure Browser is not a very dangerous program, it has been found that it might also be interested in users’ activities and other details about them. More specifically, it will collect information about you unless you decide to uninstall Secure Browser from your computer. How did Secure Browser enter my system? There are only two explanations why you have Secure Browser installed on your computer. First, you have downloaded it from the web and installed it on your system. Second, it has entered in a bundle. Potentially unwanted programs are usually not the only items in these bundles, which means that you could have installed other applications on your system too. There are so many threats that are distributed these days using the deceptive marketing method called bundling, so you have to be very careful. Of course, this does not always help, so the installation of a reliable security tool is highly recommended too after the Secure Browser removal. How can I remove Secure Browser? Secure Browser is not a serious computer infection; however, you have to remove Secure Browser fully if you want to set another browser as your default one. In most cases, potentially unwanted programs can be deleted through Control Panel, so you should check Control Panel. If its entry is missing, we highly recommend that you delete Secure Browser automatically. Scan your system with an automatic scanner to implement the Secure Browser removal. Before you do that, do not forget to acquire a trustworthy scanner.